The London collection offers classic beauty with clean lines. 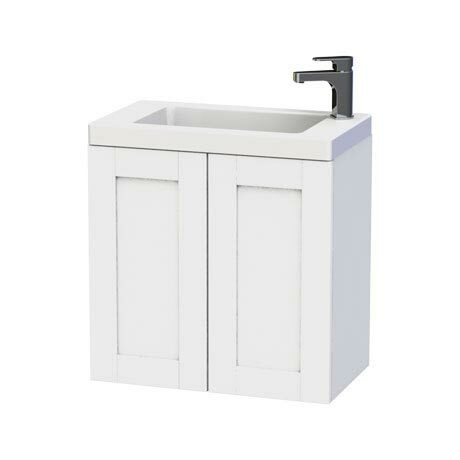 This smooth white painted 60 Wall Hung Two Door Vanity Unit with Ceramic Basin features soft closing doors with an an internal adjustable wooden shelf. This unit also comprises of a single tap hole rectangular ceramic basin and a pair of stylish chrome handles. Fitted with mounting rails and brackets for adjustable and quick installation.